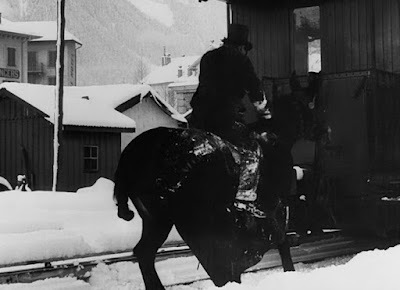 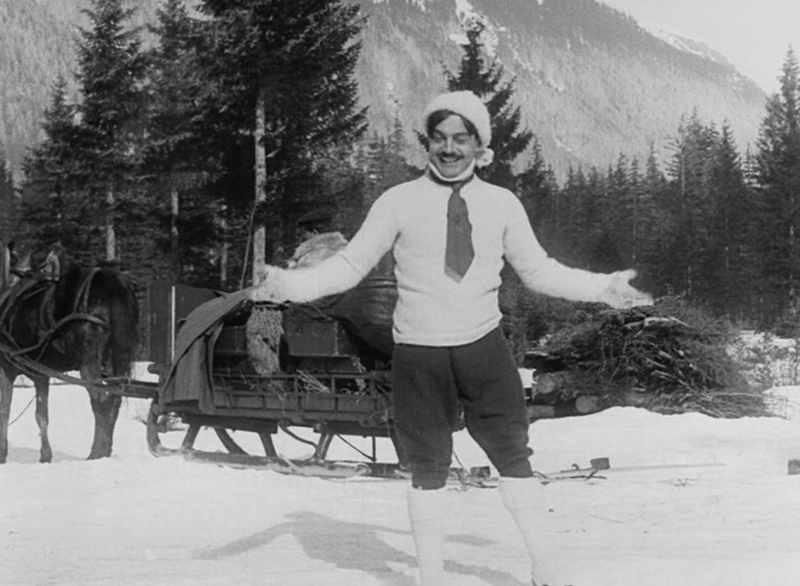 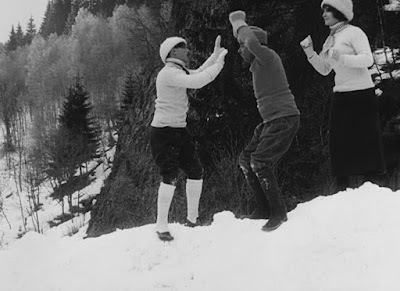 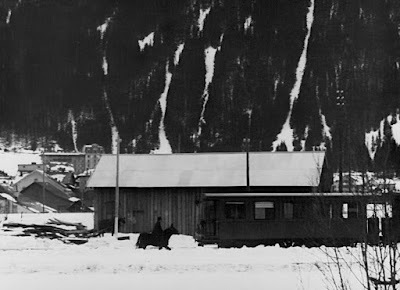 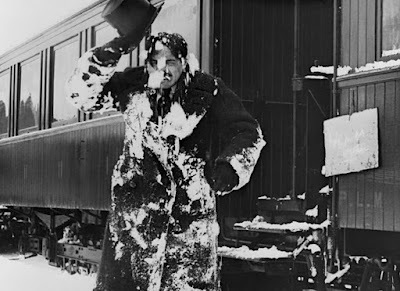 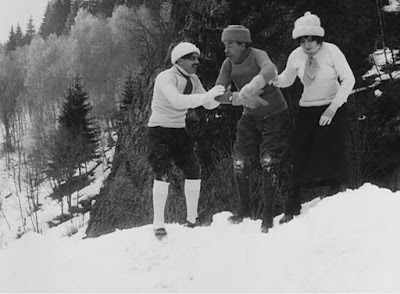 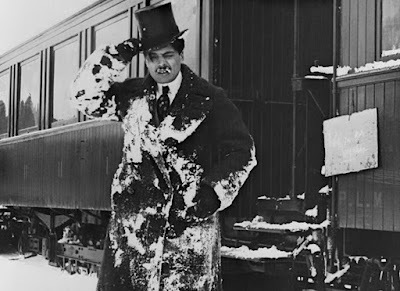 "C’était vraiment drôle" is French for "It was Really Funny"
Max Linder visits a ski resort in Love Unconquerable (1912). 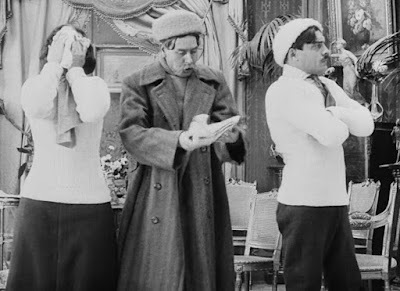 I was happy to find a few early French comedy films on YouTube recently. 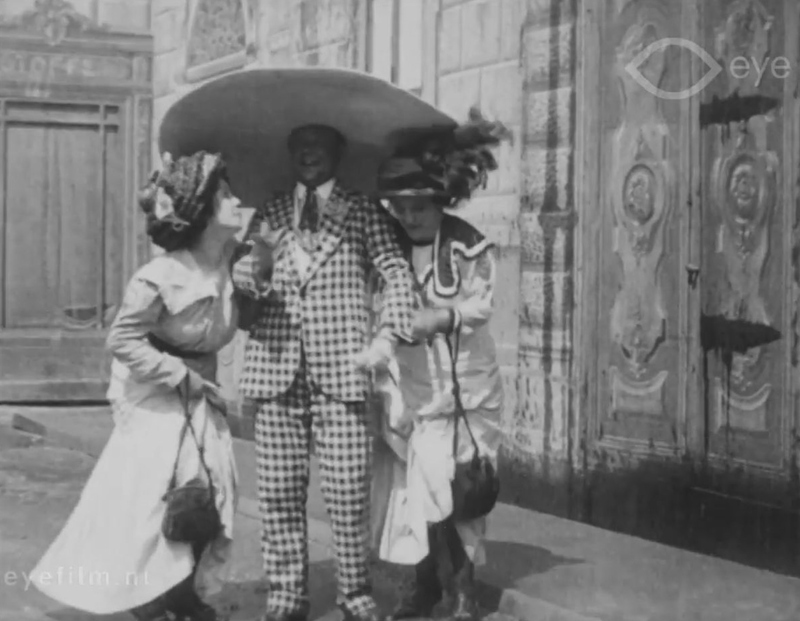 Ernesto Vaser wreaks havoc with his new wide-brimmed hat in the 1912 short comedy La moda vuole l'ala larga (released in the United States as Wide Brimmed Hats Are Fashionable). The hat is large enough to provide two lovely ladies with cover during a rainstorm. 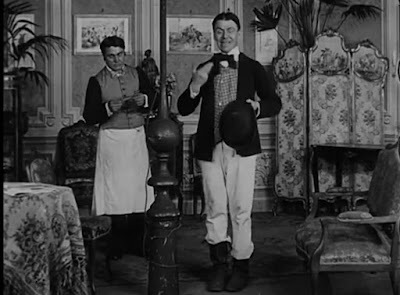 At one point, the hat catches a breeze, which sends Vaser airborne much like a cornette later allowed Sally Field to take flight in The Flying Nun. 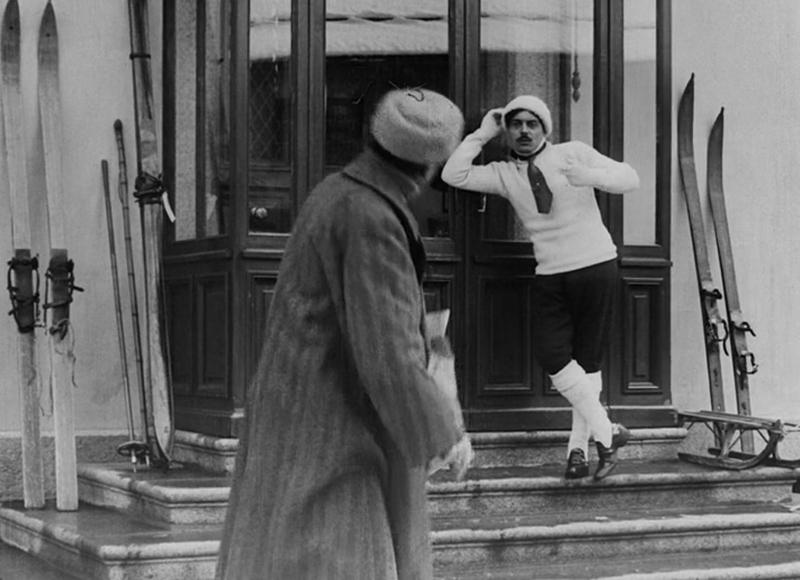 Vaser, known to fans as "Fricot," was Italy's first film comedy star. The film comes from the collection of EYE Film. 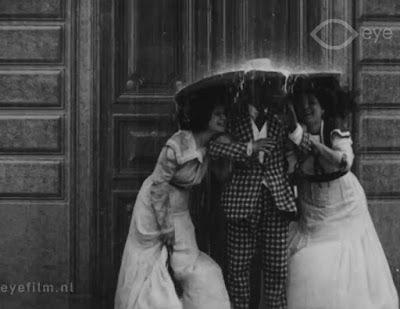 You can click here to view the full film. The Internet Movie Database provides the following plot summary for Onésime et l'étudiante (1912): "In his pursuit of a young female student, Onésime [Ernest Bourbon] finds himself at a university hospital receiving the unwelcome attentions of overenthusiastic dentists and surgeons." 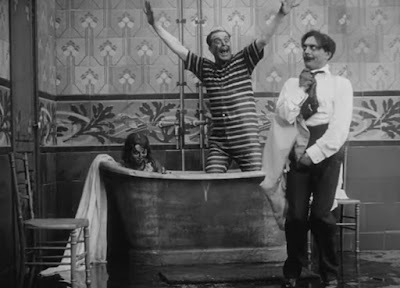 Zigoto plombier d'occasion (1911) is proof that comic plumbers were destroying homes long before The Three Stooges' A Plumbing We Will Go (1940). 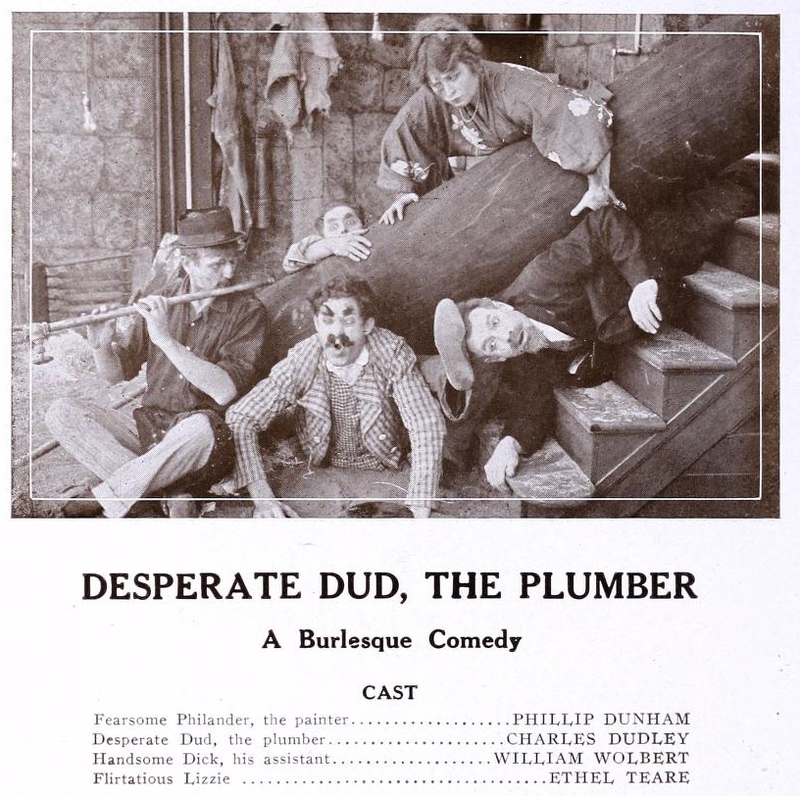 The plumber comedy was a strict standard in silent films. 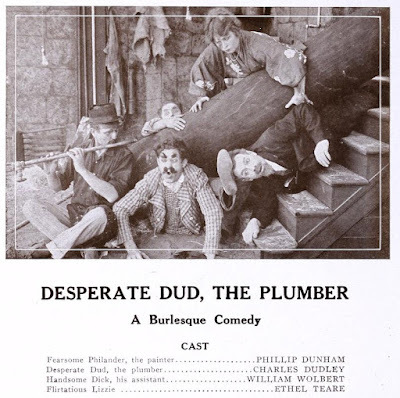 William Wolbert mistakenly connects electrical wires to plumbing pipes in Desperate Dud, The Plumber (1915). 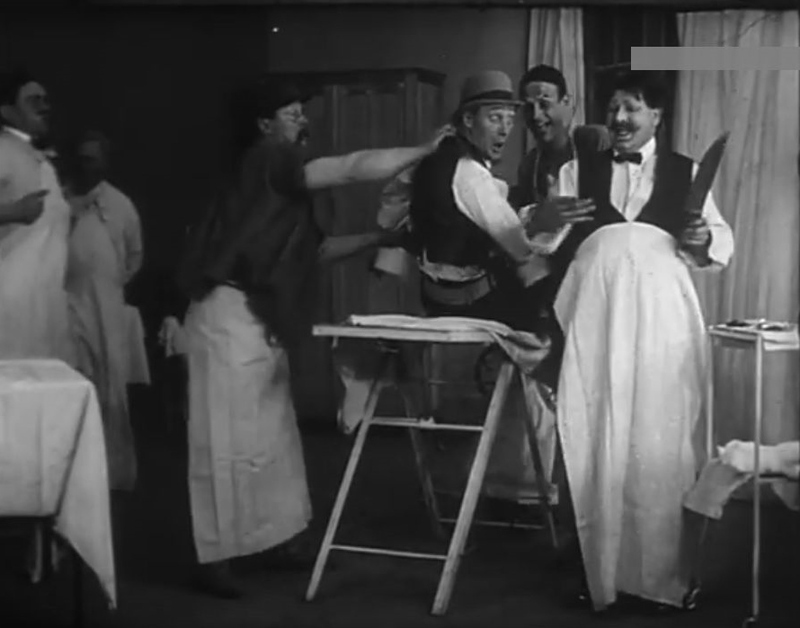 Hose comedy was common in early film. 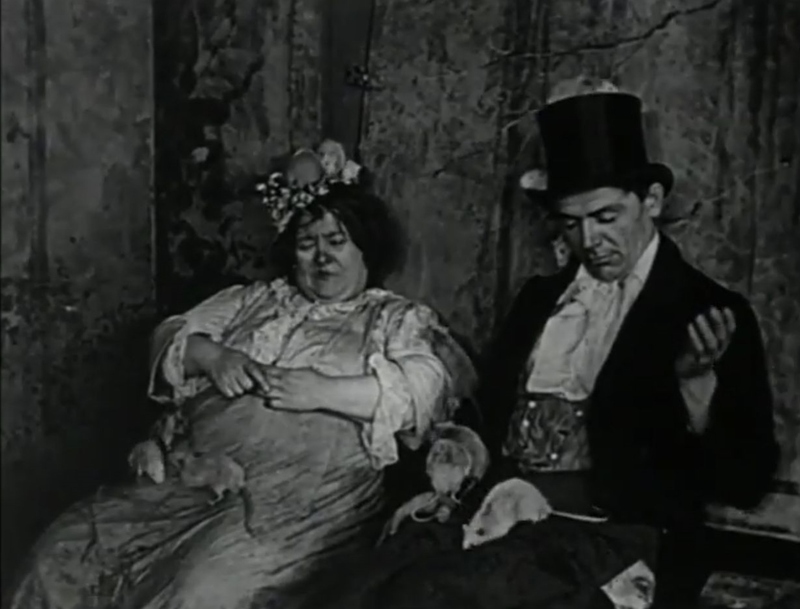 Here is an example from Two Naughty Boys (1909). 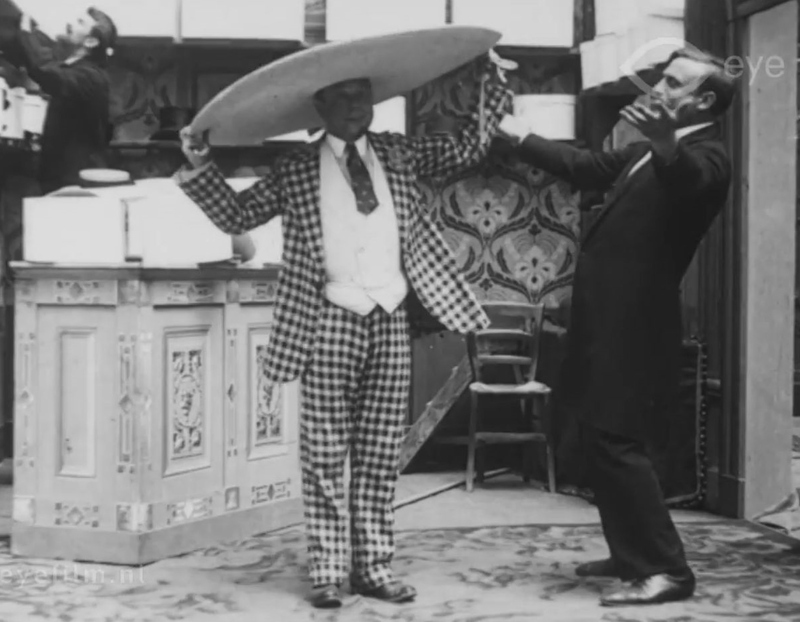 Ernest Bourbon and Gaston Modot (in drag) play a bickering couple in Non! Tu ne sortiras pas sans moi! (1911). The film is a spoof of domestic squabbles. 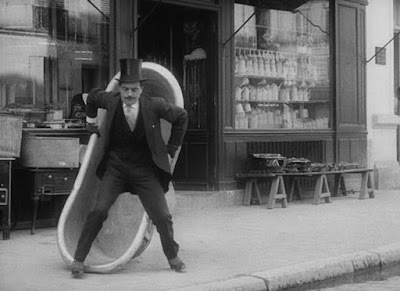 Bob Lipton of The Internet Movie Database wrote, "[S]he wants to go shopping alone and he doesn't want that to happen. So they fight." The couple engage in a running battle of wills that escalates to outrageous proportions. You can click here to view the full film. At the start of Max's Vacation (1914), Max Linder is strangely unnerved by an invitation from his wealthy uncle to visit him in the country for the weekend. 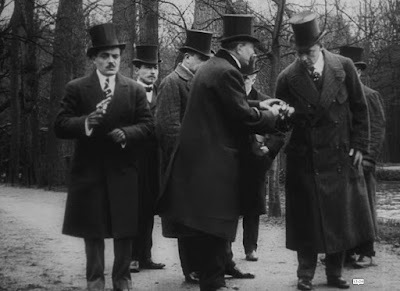 But we soon learn the problem. 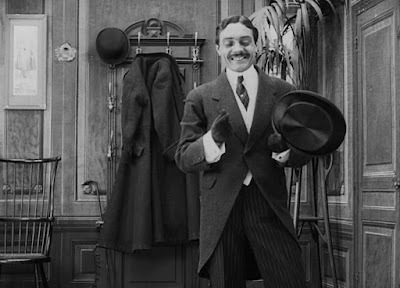 Max hasn't told his uncle that he has gotten married and he doesn't know how his uncle will react to him showing up suddenly with his happy new bride. 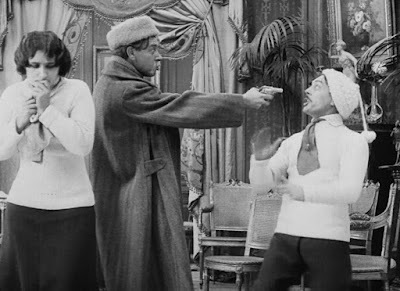 My guess, from having seen similar films of the period, is that Max's old bachelor uncle might not approve of his nephew's sudden marital entanglement and take immediate action to disinherit him. 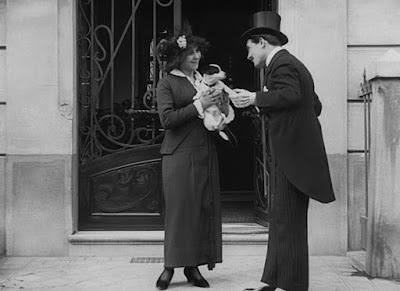 But Max's wife doesn't care what her new in-law will think of her. She simply cannot bear to be parted from Max and insists on coming along with him. As it turns out, Max takes desperate (and comical) measures to hide his wife from his uncle for the weekend. I can never get enough of Mr. Linder. 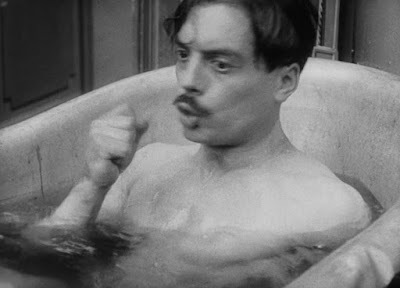 I have written extensively before about Max Takes a Bath (1910), which is one of my favorite Linder films. 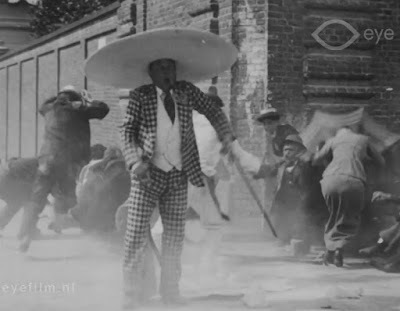 Here is a few screen captures. Another favorite of mine is Max pédicure (1914). 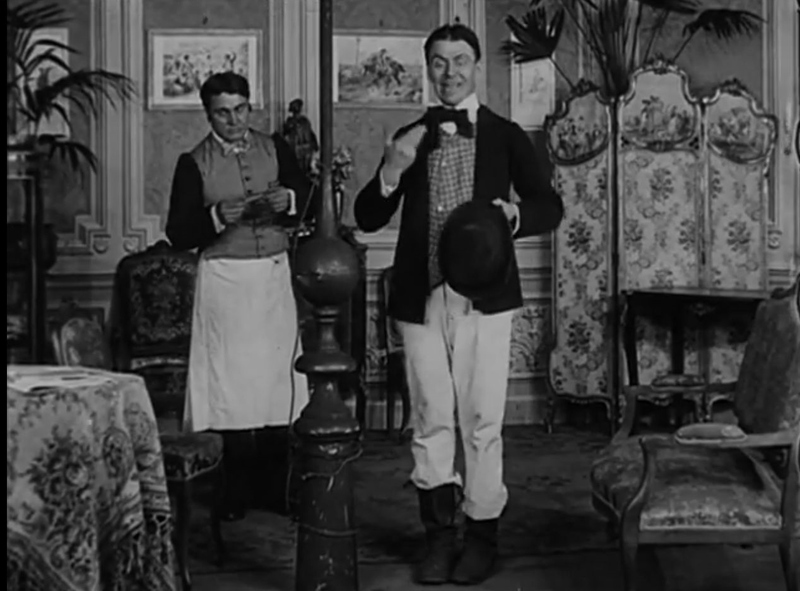 Max challenges a romantic rival to a duel in Entente cordiale (1912). Love Unconquerable (1912) involves Max's efforts to win over his girlfriend's father during a ski trip. 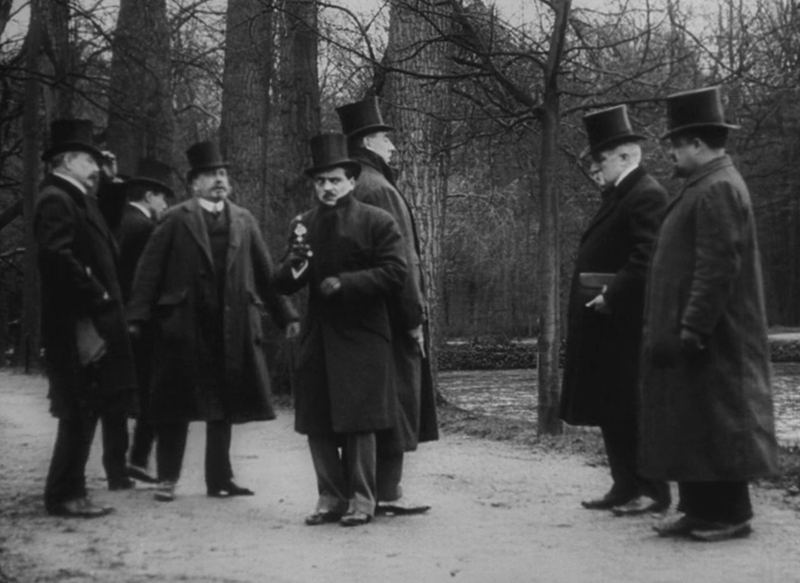 Clément Mégé peddles an electrifying new lightning rod in Calino courtier en paratonnerres (1912). 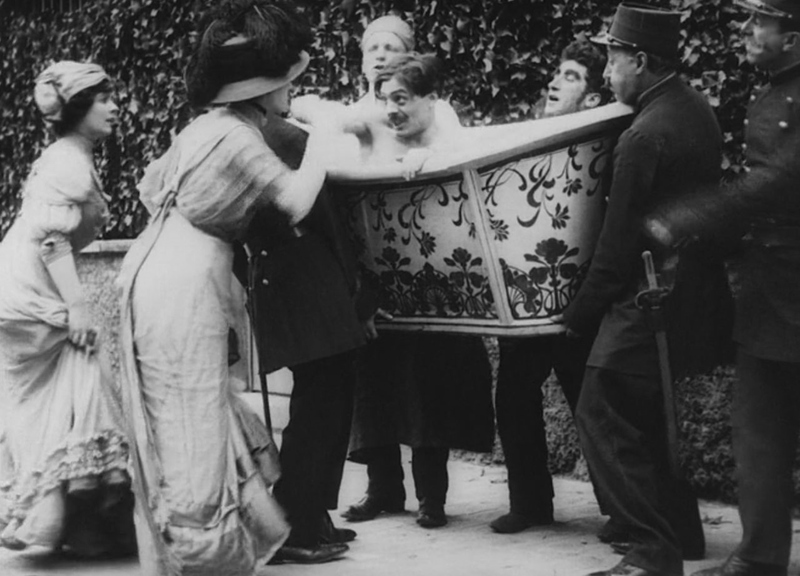 Ernest Bourbon is presumed dead after he abandons his nagging wife in the 1913 Gaumont comedy La disparition d'Onésime (English translation: The Disappearance of Onésime). The widow finally catches up to her "deceased" spouse partying with sultry ladies in a cabaret. 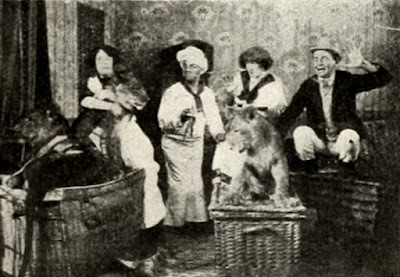 One of the early lion comedies is a 1911 Gaumont film called Calino et ses pensionnaires (released in the United States as Calino and His Boarder). 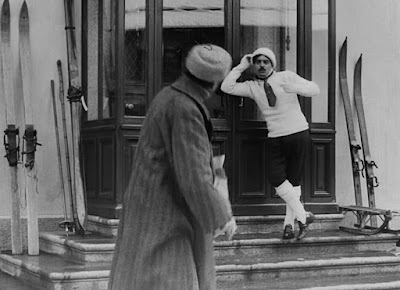 Calino doesn't realize when he accepts a lion tamer as a boarder that the man intends to keep his lions in trunks inside his room. Soon, the brood of lions break out of the trunks and overun Calino's normally quiet abode. 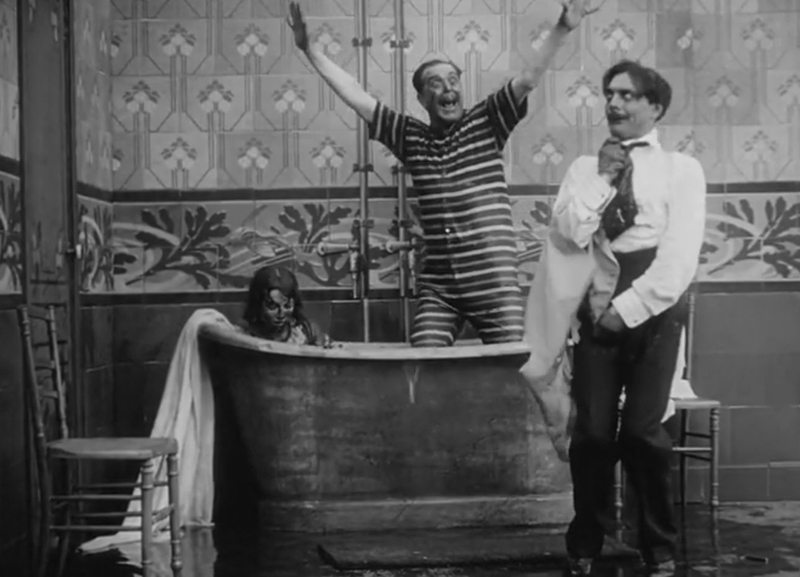 In Calino se marie (1910), a bride and groom fall down an open manhole and find themselves trapped in the sewer.